For the past decade, many brands have sought to create an online shopping experience to match, or even outdo their in-store counterparts. Peak online shopping days such as Valentine’s Day have felt the impact of this trend, seeing the various ways that British consumers opt to shop at this time of year transform. With the current projection of UK spending set to reach just over £1 billion this year, here’s how consumer shopping habits are changing the way we choose to shop over Valentine’s Day. How can retail associates in stores access, attribute, and act on all of an individual customer’s data? This is a question that brands are increasingly tasked with as they move to unify their online and offline customer experiences. By no fault of their own, a store’s retail staff can’t even tell at first glance whether that person has even ever shopped with the brand before. But when that same person visits the website, the experience can be automatically personalized. 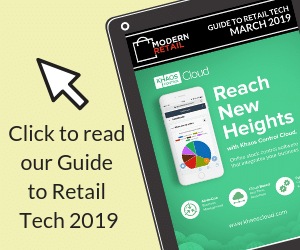 Offers, product recommendations, inventory, and other specific customer preferences populate within milliseconds — and be tailored to the screen size of the device they’re using, when they’re connecting, their location, and language. Essentially, the online journey is geared to create an experience that’s pre-loaded with knowledge of previous browsing and buying behaviour. The reason why this hybrid buying journey is becoming ever more important is down to the increasingly ubiquitous presence of technology. The rise of online and mobile shopping has not just changed how we shop – it’s reinvented the entire customer experience from end-to-end. For instance, according to our research, nearly two thirds (64%) of online shoppers are put off by shipping costs, which partly explains why nearly half (40%) of purchases are made through a combination of offline and online behaviour. Retailers like French beauty brand Sephora have successfully launched applications that seek to drive both online and offline sales through an interactive feature. Their app essentially attaches a service to their in-store offering by supplying its customers with tutorials on new makeup application techniques, often featuring selfies uploaded by users directly from their smartphones. Aside from its community-building impact, the app helps users to recreate Sephora’s in-store makeover looks, while also driving them to the nearest store thanks to beacon alerts, effectively unifying online behaviours with offline interactions. The rise of on-demand commerce, and the resultant expansion in the retail logistics industry, has facilitated incredibly fast delivery turnaround times. This trend towards convenience is particularly evident amongst Valentine’s Day shoppers, who are notorious procrastinators. According to a previous study, a third (32%) waiting until the same week of the holiday itself. However, given consumers’ aforementioned concerns around shipping costs, retailers are looking to reflect their physical dominance with online cues. They play on shoppers’ desire for instant gratification by driving offline action while users are online shopping; “Want it NOW? This item is in stock at a store X miles from you”. This alleviates the delay incurred by shipping times. The brands leading the way in these connected experiences understand the value of connecting different facets of the experience and in fact, bringing the offline world online. Still, too many retailers simply have a mobile app or they have a mobile-responsive website. They need a digital strategy which incorporates all platforms in order to succeed. Brands are moving slowly but surely away from multichannel initiatives into omnichannel or channel-agnostic initiatives oriented around the customer. For brands to remain relevant and keep up with ever-changing consumer trends, we’ll need to see a collective, industry-wide shift towards embracing omnichannel strategies that bring rich data from physical stores together with the abundance of available digital data. Valentine’s Day provides a perfect case for this approach to be put into practice, and this year the best-performing online retailers factor the in-person experiences that help inform our shopping habits and shape our overall interactions with brands into their strategies. Marketers that do this will be able to create holistic buying experiences that drive and reward customer loyalty and induce customer retention for years to come. Grant Coleman, VP and Market Director for UK, Nordics and Benelux at AI-enabled marketing platform Emarsys, works to support a network of 2,200 brands in over 70 countries in using AI to connect to their 3 billion customers around the world.